Home How to seduce? What topics of conversation for a first meeting? It’s been a while since you talk with her or him and here comes the time of the actual meeting. 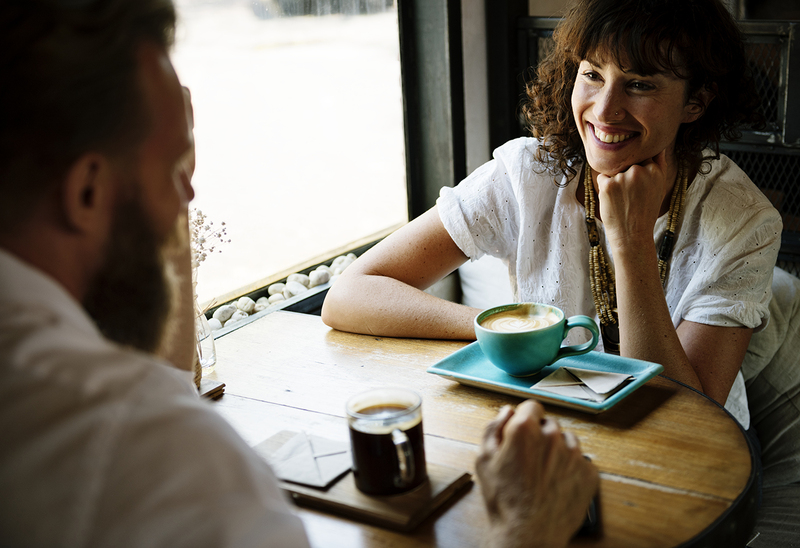 Whether it’s in the restaurant, in a shopping mall or in a bar, you’re going to spend precious moments together, but maybe you’re afraid of not knowing what to say to him? Don’t panic, stay natural and follow our guide! You have already traveled or you will be leaving soon, this is the ideal topic to get out of the conversations too banal and make your partner dream! If you are both lovers of travel the discussion could be interesting, which is more beautiful than exchanging on the beauty of nature. Would you like to open a restaurant or go live in the Sun? We all have a little crazy project ideas that we would like to do and that may never be successful. By discussing these desires you reveal yourself and it can please a lot, because it is a beautiful proof of affection that to share your intimacy! Imagine that your ideas cross hers, it is the assured spark. You like cinema, you live for art or you can not live without sport? So do not hesitate to talk about it, because what makes us vibrate in life we talk about it with exaltation, your partner will be charmed to listen to you talk about the things that carry you. Your daily life can be a good topic, do not lie on boring moments, but if you have helped your neighbor to tinker, or you keep your nephews in the week it is a way to highlight your qualities. You then give an endeating image to your partner, make sure not to do too much otherwise it is the opposite effect that will occur. Yes, we like to be interested in ourselves. It is not egocentrism, no! We like it when someone is just interested in us. Ask your partner a lot of questions, you have to make sure that he or she reveals itself to finally know if your relationship can lead to something! You will have understood there is plenty of way not to be short of topics of discussion, if you follow the letter our advice, you will have no long time of silence during your dating, it is guaranteed!